NEW! Bahco P110-23-F Grape Vine Bypass Secateurs - 230mm Length. 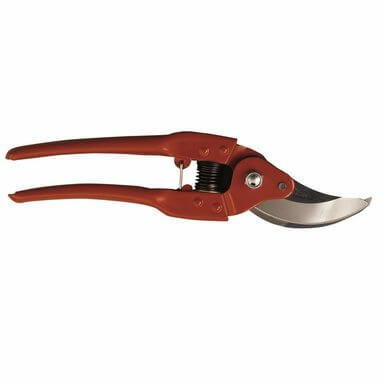 Bahco grape vine bypass secateurs, ideal for pruning grape vines. Features comfortable, stamped steel handles and narrow cutting head for easier access. Fully hardened steel blade allows for clean cutting and features long lasting sharpness. Special blade grinding process means less friction.